The day started with a rat scuttling across our path, but with the open sewers its not suprising. 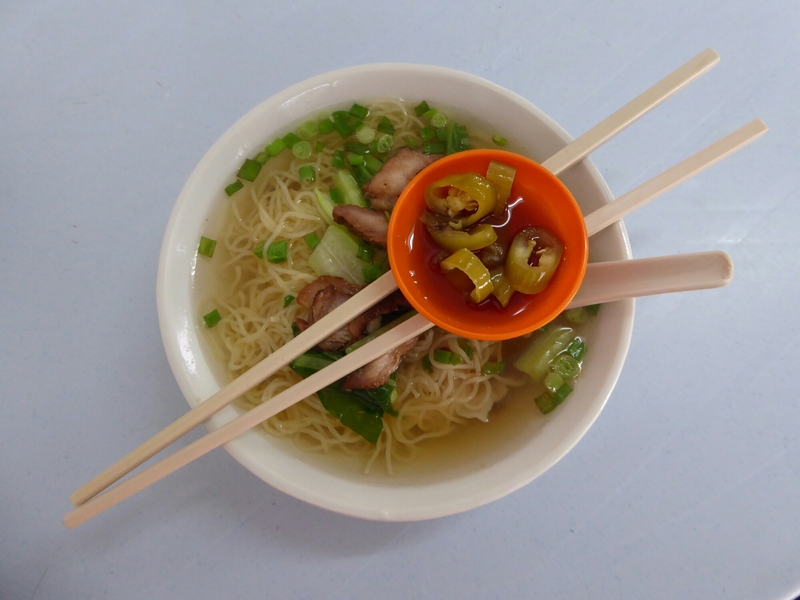 We crossed the road to eat at a food stall our hostel recommended. Wanton mee for me and curry mee for her. Both good. We walked to the bus station at Komtar and caught the number 10 to the botanical gardens. Al saw a cockroach on the bus. 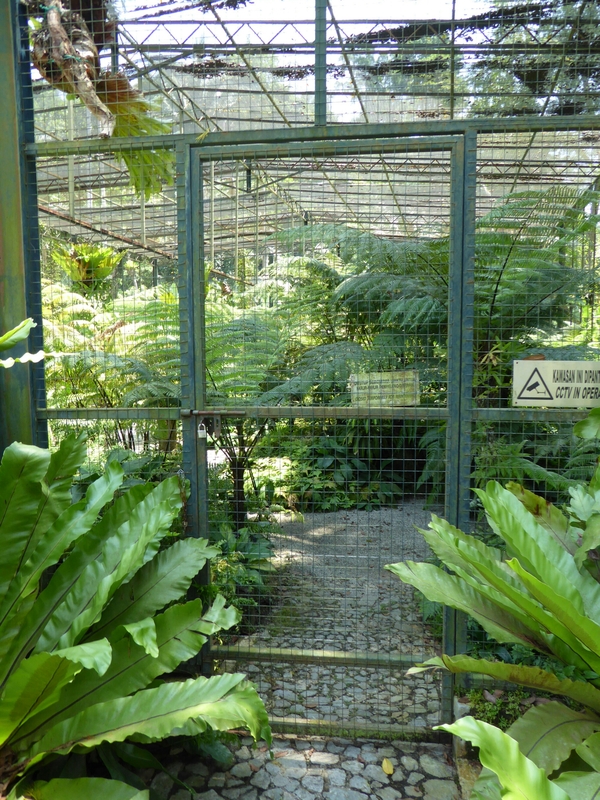 We had chosen a bad day to visit the Botanical gardens as the specialist plant houses were closed. 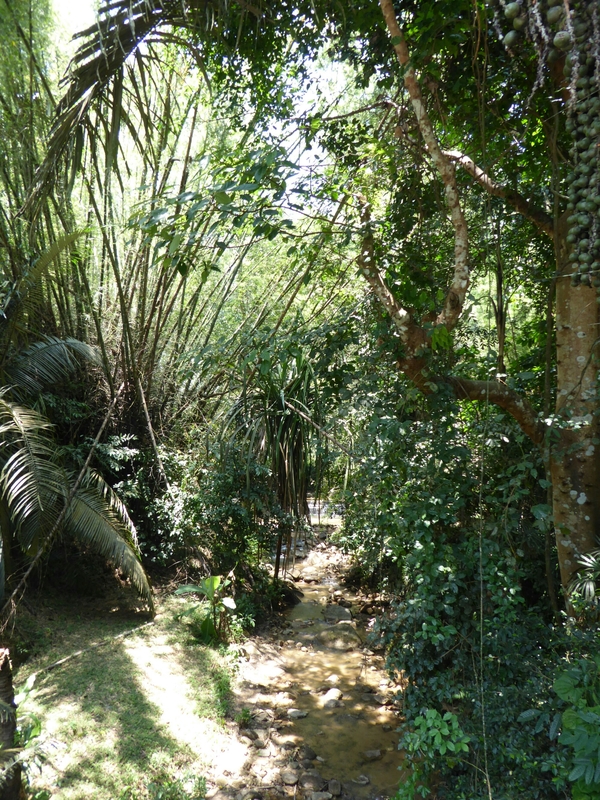 We were able to wander round the outside though to see cacti and bromeliads but sadly the fern house was huge so we couldn’t see everything. 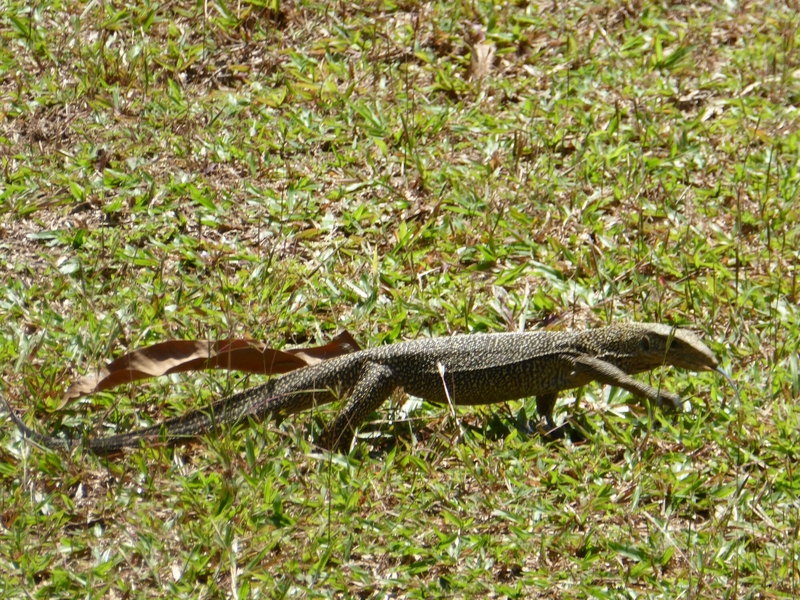 We did see Lizards though, wandering around. 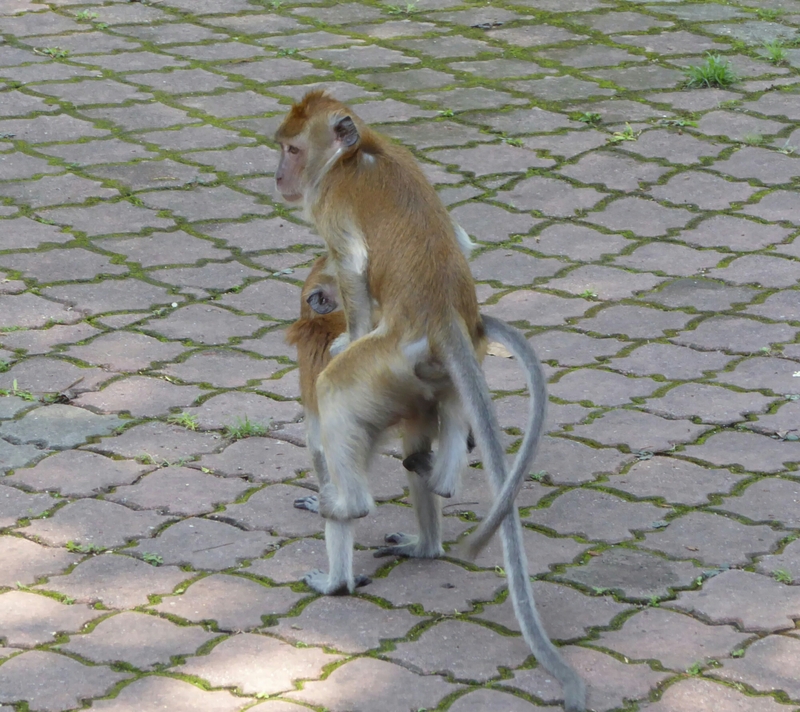 A troup of monkeys too. It wasn’t top of our botanical gardens list but it was very tranquil to visit after the noise of Georgetown and is a beautiful green space. 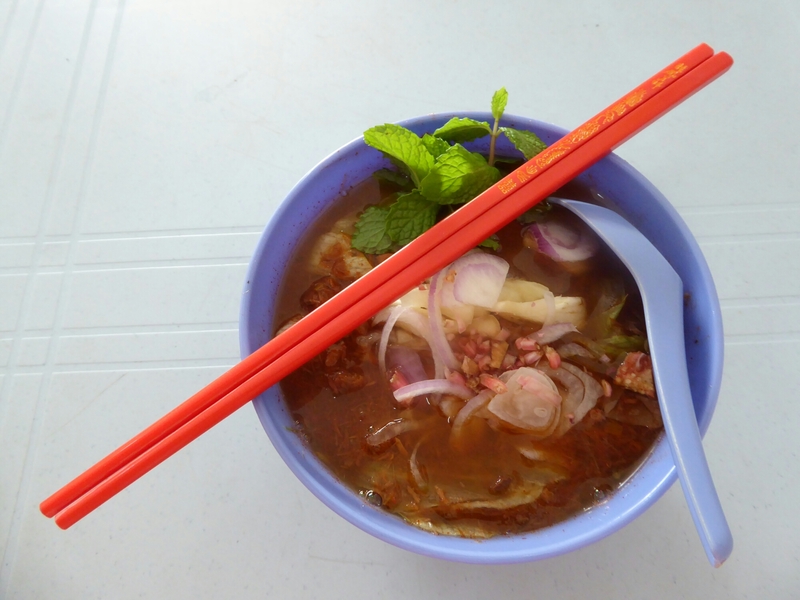 Back in the old town I finally get to try Assam laksa, a local sour soup of tamarind, chili, sardine, pineapple and mint. It sounds like fridge leftovers but it works and I really enjoyed it. Al had kaka on white toast at a street cafe which every morning had a long queue down the pavement. It was white bread, toasted, with coconut jam on. 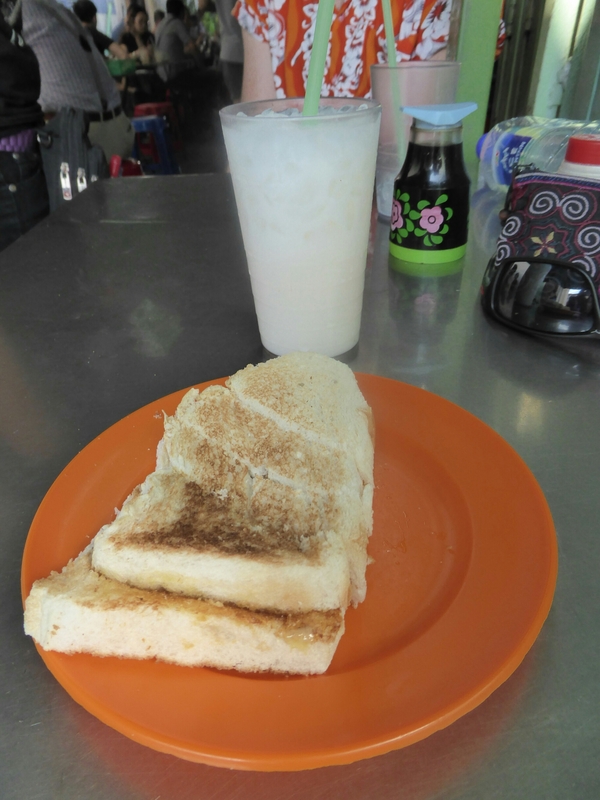 I’m pondering importing toasters to Penang. Another Rat scuttled across our path. Then it was Laundry Time! The glamour of travel is endless. Our hostel guy was complaining about the heat and I thought about his words as I sat sweating in the launderette. I melted. It was running down my head. 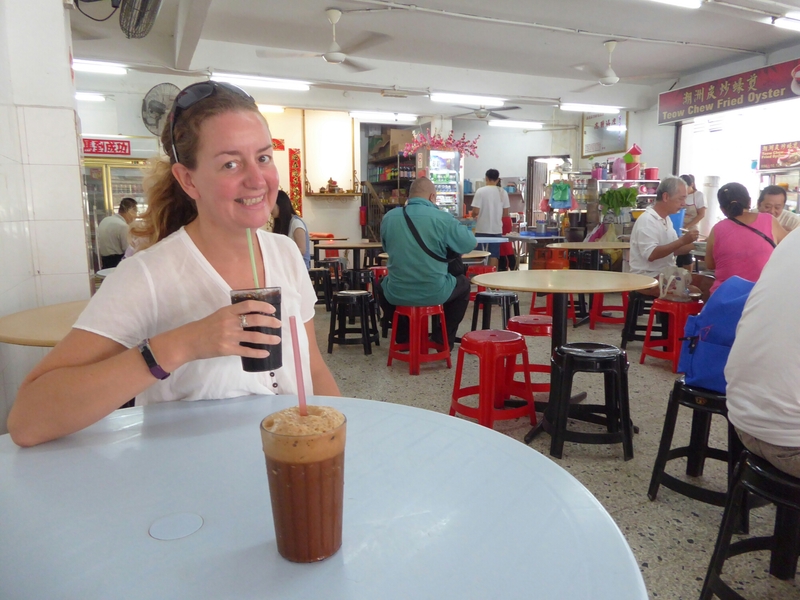 I love the heat and humidity and its great for my psoriasis and sitting in the launderette was possibly the hottest moment of the trip so far. As a puddle of sweat formed under my chair, the lady in charge turned the fans on and the hot, humid air was moved about. I continued to sweat. A lot. 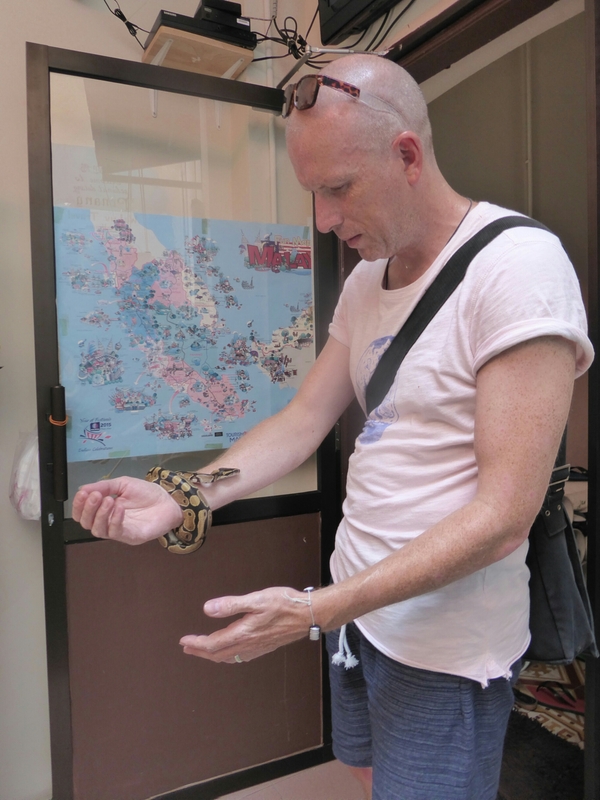 Back in the hostel, our friendly host clearly recognises my Dr Dolittle powers and hands me his pet python. 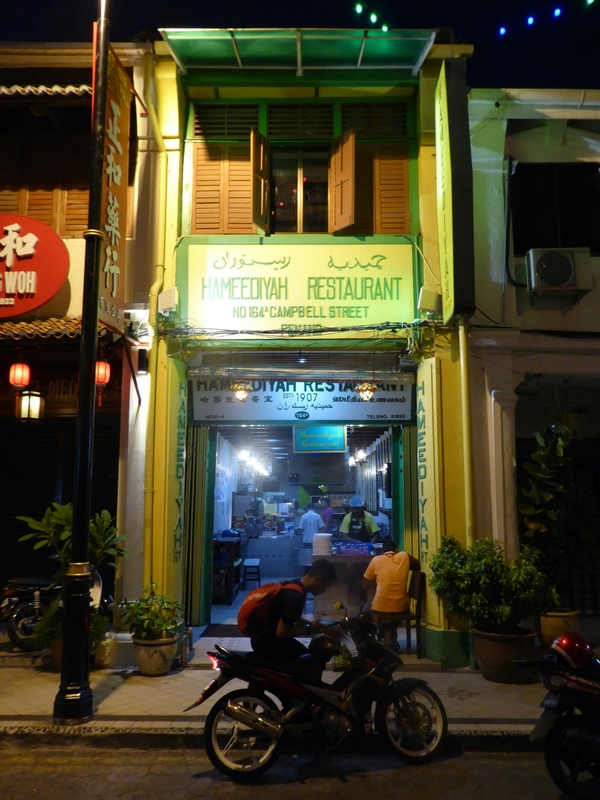 Another restaurant which always had a queue down the street was the 110 year old Hameediya. We had tried to go twice before but decided not to bother after seeing the queue and being spoilt for choice but as we leave the hostel our host tells us to go now as it will be quiet. We walk straight in. 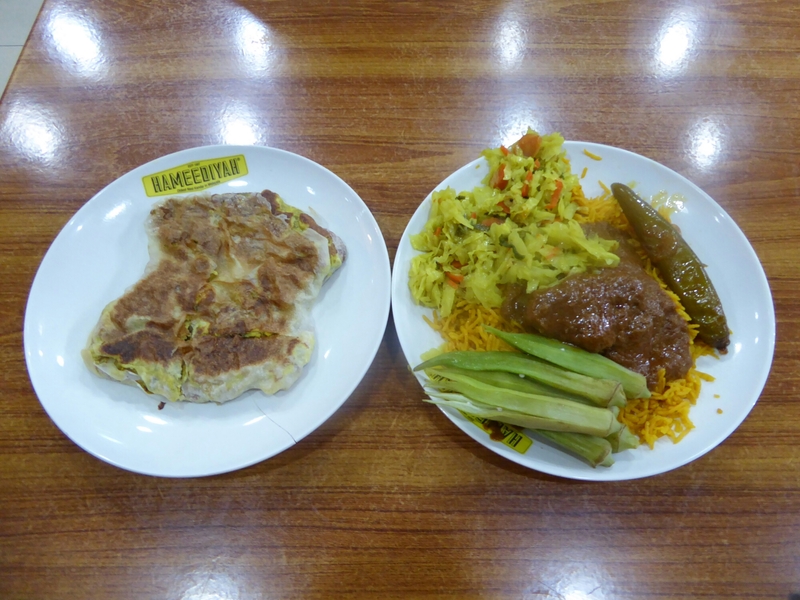 Chicken murtabak, tandori chicken and naan and biriyani rice with beef rendang, curried cabbage and pickled chilli. Each component was of high quality with strong flavours, delicious. We were stuffed so we had a walk round the block and stopped for a cup of tea. On the way back a cockroach crossed our path and then a rat scuttled past.